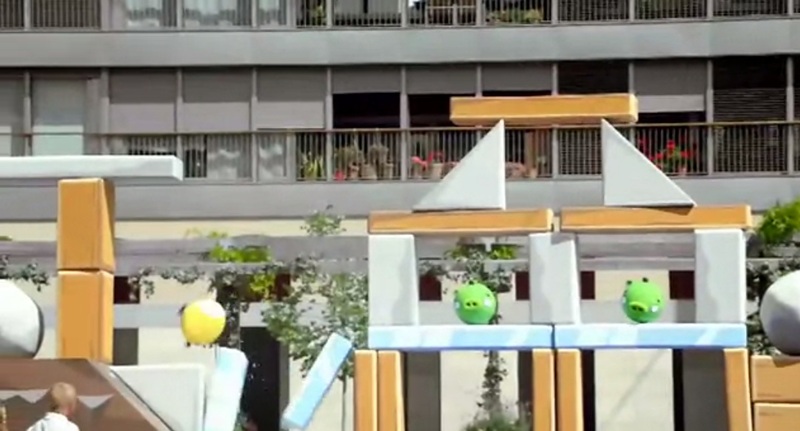 Video: Real Life Angry Birds! You must have seen this video already as it’s become a Viral Video success again for T-Mobile. Filmed in Barcelona, we see angry birds played out in real life. You might have seen that done before now and again, but not really to this scale (or with the integration of phone use). It’s pretty cool! Flick from the phone and on the big screen you see birds being launched. Watch them try to topple the pigs over. They can all explode too! And check out that band playing the iconic theme tune. What other phone video game would you love to see be transformed into real life? Spot any Nokias in the video? « Video: Nokia X7 unboxing and the new style packaging!